Do you want information or advice about your rights? Are you experiencing troubles with any EU, Norway or Iceland vendor? Cockroaches under your bed, mould in the bathroom, dirt in the kitchen, and in addition some smell from the back yard of the hotel where a see view was promised – who experienced this, must have grumbled. But that’s not enough. It is necessary to speak up and require remedy or at least a discount from the paid amount. After their return from holidays, some consumers ask how to file a complaint and what is the period for such action. Generally speaking it is suitable to announce defects without any delay – and this fits for touristic services too. 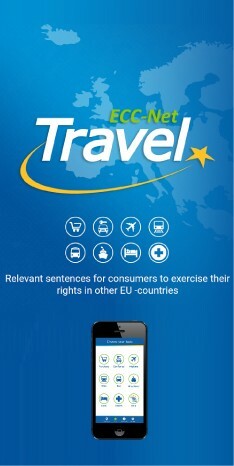 “If a contract is governed by the Czech or German law, it is necessary to speak up and point at flaws right on the spot, and subsequently send a complaint in writing to the tour operator or accommodator within 30 days after the stay ends,” says Ondřej Tichota from the European Consumer Centre Czech Republic. A complaint filed on the spot has to be proven, so it is suitable to have it printed and signed or write it down on your own and have it signed at the hotel. This was how a Czech consumer did it, asking for a 100 euro discount from an 800 euro package travel organized by a foreign tour operator. His room was dirty and obviously hadn’t been cleaned for some time. The German tour operator didn’t mean to communicate with him about the issue until the European Consumer Centre intervened based on the consumer’s request. The ECC-Net negotiated a discount of 60 euro in an out-of-court way. “If the consumer didn’t contact the tour operator right on the spot during the holidays, he would most probably get no compensation,” Ondřej Tichota points out. Consumers may have exaggerated expectations regarding the discount amount, e.g. in cases when just one of two swimming pools was opened or when there are limited opening hours at the bar during an all-inclusive hotel stay. Therefore it is suitable to have reasonable requirements. If the services provider doesn’t settle the complaint in compliance with consumer’s expectations and the provider is from another EU country, Norway or Iceland, the European Consumer Centres Network (ECC-Net) can provide free-of-charge assistance in an out-of-court way. Or it is possible to take a court action. More about consumer rights in the internal market can be found on www.europeanconsumer.cz. Vámi uvedená e-mailová adresa bude použita pouze pro zasílání Novinek ESC a nebude předána třetím stranám.